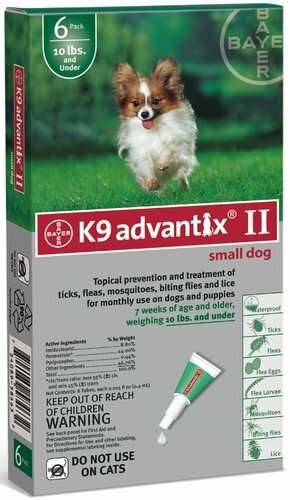 K9 Advantix II is an all-in-one flea and tick treatment for dogs. K9 Advantix pet meds kill fleas and ticks for up to 4 weeks and also repel mosquitoes and flies. It also continues to work even if your dog gets wet. K9 Advantix II Travel Pet Bowl is great for taking with you wherever you go! The bowl conveniently folds up for easy storage and access. When it's time to feed your pet some food or water simply detach the velcro encloser to unfold the bowl and you're ready to go! Take the bowl on the go with the plastic clip that attaches to backpacks or belts. Convinient travel size Easy setup for feeding Features a plastic clip to attach to backpacks or belts.